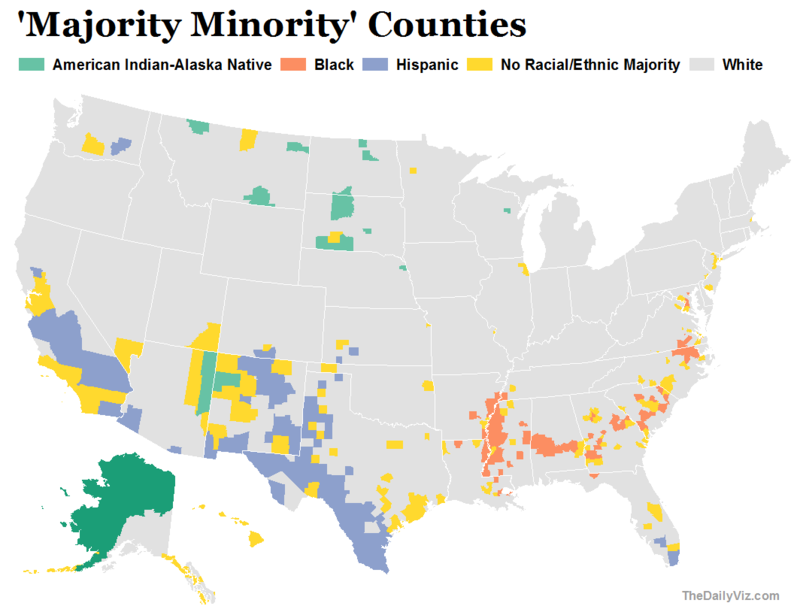 I’ve posted before about “majority minority” counties — places where non-Hispanic whites represent less than half the population. They were critical to President Obama’s election in 2008, and their numbers continue to grow. 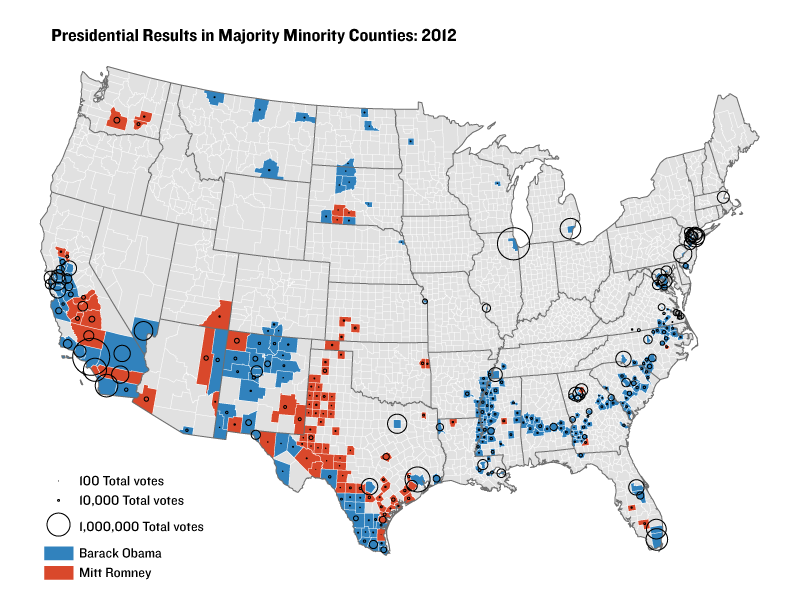 The number of “majority minority” counties — now the most in modern U.S. history — have doubled since 1980, according to the Pew Research Center. 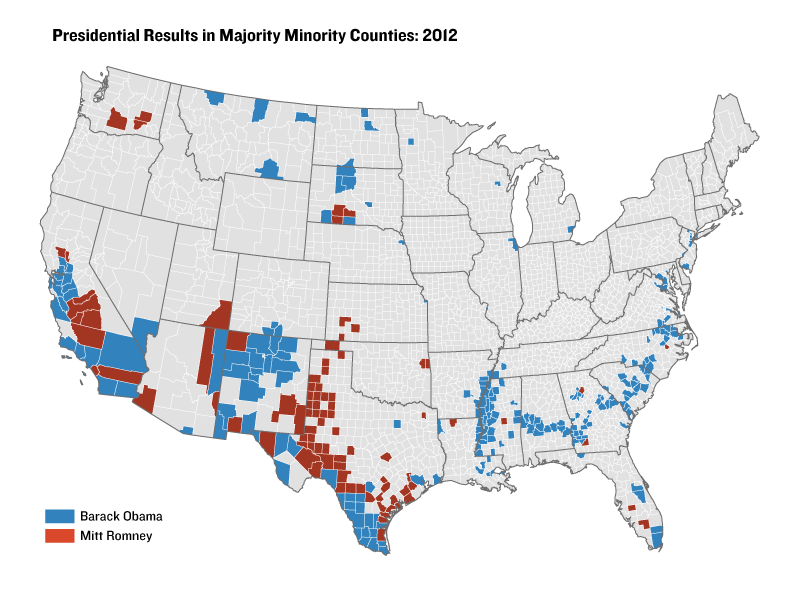 The most-recent population estimates from the U.S. Census Bureau show that non-Hispanic whites (or “Anglos,” as my Texas friends call them) are the minority in 364 counties. There are 151 that don’t have a single racial or ethnic group in the majority, making them the country’s most-diverse places. 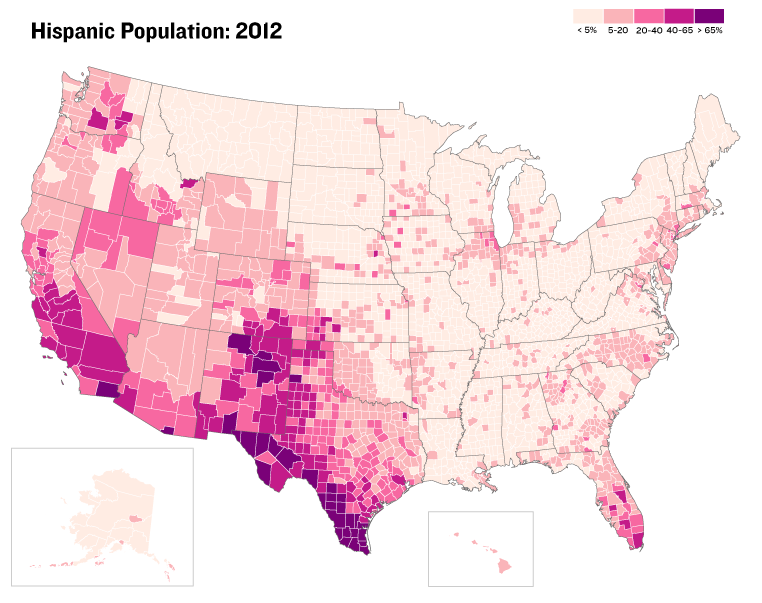 Hispanics are more than half the population in 94 counties, mostly in the Southwest, followed by blacks (93, mostly in the Deep South) and American Indians/Alaska natives (26, mostly in the Great Plains and Alaska). The number of these counties, of course, will continue to grow and shape our culture and politics. Tomorrow we’ll look at these locations in the context of the current presidential primaries. 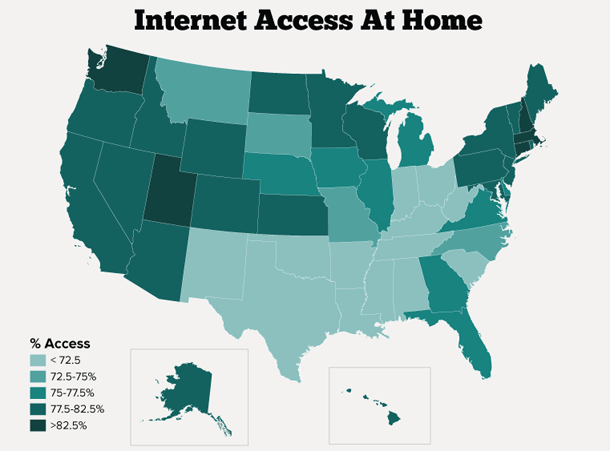 * These data have high margins of error in small geographic units like Census tracts, which this service uses, so don’t take the figures literally. Still, the estimates can be useful for spotting broader trends about communities. Thanks to the wife for sharing this discovery.